Ms. Malvina Pritsker - Light Instruments Ltd.
Malvina Pritsker is a Finance Manager at Light Instruments Ltd’ since April 2016. Malvina has 20 years of experience financial analysis, accounting, budgeting and planning. Previously Ms. Pritsker worked in the banking fields and as Chief Financial officer at private Corporations in the High Tech, Defense technology and Security sectors. 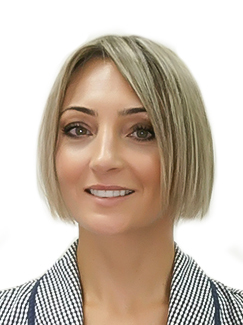 Malvina holds a Bachelor’s degree in Economics and Financial Management from Kiev State Economical University, MBA from the Open University in Haifa, Israel and a diploma in Management and Business Leadership for CFO’s from The Hebrew University of Jerusalem, Israel.